Jools Watsham, founder of Atooi, has shared a new video to reveal a super sale across all of the developer's games on Nintendo Switch. Yes, starting today, all Atooi titles on Switch will be available to download at 50% off. We've got all the games, and those all-important sales prices, listed for you down below. These games will be available at the discounted prices for 20 days, lasting from today (6th September) until the 25th September. If you were thinking about picking any of these titles up, now would be a perfect time to do so! Let us know if you'll be taking advantage of any of these offers in the comments below. Normally I'd jump on this, but I prefer Mudds and Xeodrifter on 3DS because the 3D is amazing. Same situation as with Shovel Knight. Heard good things about SS and I've been wanting Totes, played the others to death/have em on Steam. Already have mutant Mudds so the only thing that appeals to me would be xeodrifter. The collection is tempting but I was left unimpressed by the first Mutant Mudds minus the 3D effect, which was pretty impressive. Unfortunately I still have the original 3DS XL so the 3D is kind of a pain. I didn't like blocky graphics in the 80s and I don't like them today even if they are 3D now! Waiting for Mutant Mudds physical. Nice. I'll get Totes and Soccer Slammers. @justin233 Turn the 3D off? 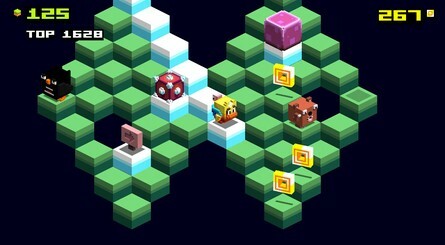 i’m thinking about Mudds just for the Mudd Blocks mode. I like falling block games. does anyone out there like Totes the Goat or Soccer Slammers? I have both and loved both. I put about 25 hours into Totes the Goat but it's simply because I found it extremely addictive and an excellent game to start my evening with or if I just wanted something that was truly a drop in and out. 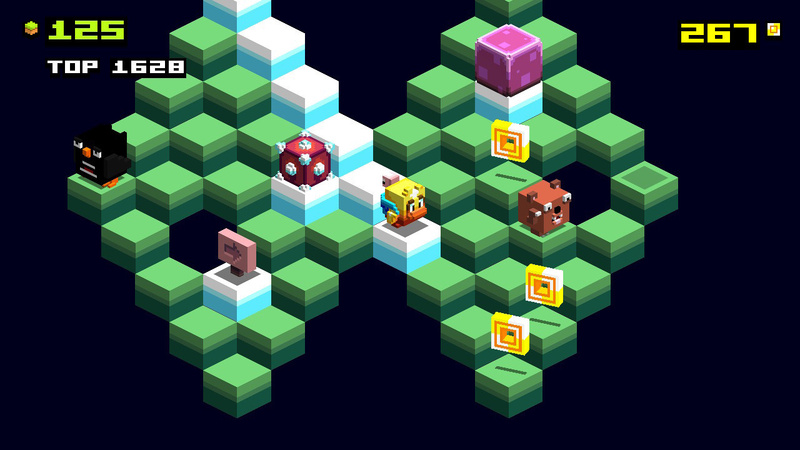 People have compared it to Qbert which I haven't played. There are different characters to unlock and I enjoyed trying them all out since they have different themes and so on. 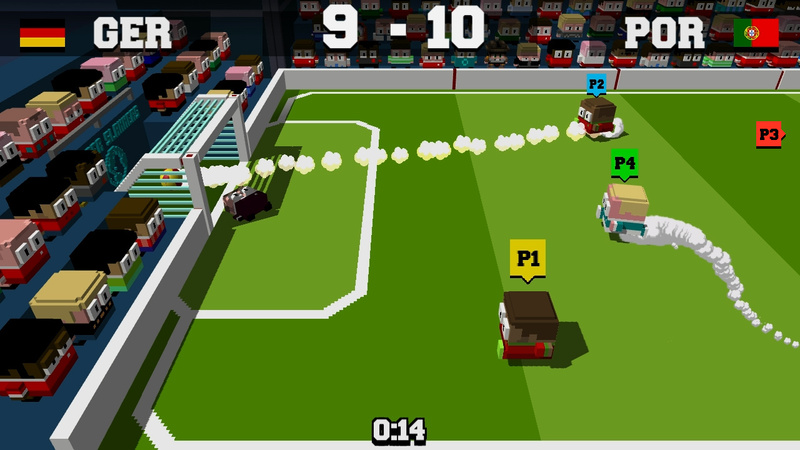 Soccer Slammers is a fun little arcade title, though I only put about 5 hours into it. Another simple to pick up and play game but still very enjoyable though there is nothing to unlock which keeps it from doing too much. There is supposed to be an update though that might add some stuff. Don't know the details yet. @EVIL-C No, I like to play with the 3D. I'm saying the 3D effect of the original 3DS line sucked and was a pain to play with. I need a "New" 3DS. MM is £4.26 in South Africa! 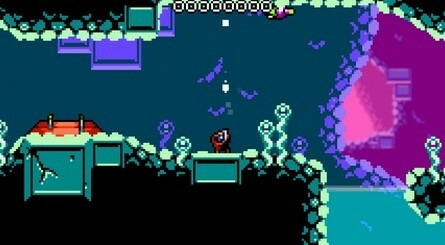 Xeodrifter is one of the rare circumstances where I think the game is better enjoyed on the 3DS with the 3D turned up. That being said, if you only have a Switch, it's still well worth the $5 price tag. The normal $9.99 cost is still worth it, but it doesn't take too terribly long to complete the game 100%, so the hours-per-dollar ratio is way better at the sale price. Might be tempted for Mutant Mudds. The first one on 3DS did not disappoint, if memory serves. Presumably, if they made a promotional video for a sale that was gonna last a duration of twenty days, wouldn't they likely make mention of that if they intended to do so at all? I'm not tryna be a negative nonprophet here or anything, it's just a thought. I don't see it happening. Even if the video was something that could have been thrown together in a matter of an hour, it still costed money and time to make. It woulda been mentioned. 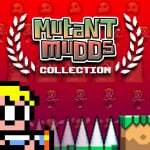 Loved Mutant Mudds Collection! I 100%ed it and I think Xeodrifter is pretty fun too. Am I a bad person as I immediately assumed they have a large tax bill or that a quarterly rent is due? I hope they sell some copies so we can stop hearing the creator looking for sympathy online constantly. Xeodrifter is pretty good on Switch, I enjoyed it. @Giygas_95 I agree, Mutant Mudds and Xeodrifter are much better on 3DS and I'm not normally bothered with 3D because it hurts my eyes after a while. Haven't played Shovel Knight in 3D though. 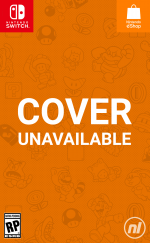 Ah, I guess Chicken Wiggle isn't out on Switch yet. Unfortunate. I loved supporting this guy on 3DS and Wii U. Don’t know if Totes or Soccer are my kind of games, but I am tempted. I know they’ll be polished and enjoyable at least. I already own the other two. I really hope he can get his other games in HD and on Switch. Would love to play Dementium and the Moon in HD with joycons. His other stuff too. @Giygas_95 It may be neurotic but there’s something pleasing about the low res 240p screen with these types of games even with 3D turned off. Heck I kind of like the pixely goodness on stuff like MK7 also but I might be weird. All that being said the 3D on Mutant Mudds is great. Though occasionally due to some ghosting it works better if you set it to the lowest level. I encourage anyone who does buy mutant mudds on any console to turn off mid level checkpoints. This option is kind of hidden away in the start menu while on the level select screen. I played half the game before the update added them in and wasn’t aware they could be shut off at first so I was rather peeved when the update came out. I’ve seen in previous discussions that some people found it kind of boring and I believe the checkpoints could be part of it. Only having to do half a level at a time WITH THREE HIT POINTS AND UNLIMITED LIVES you could probably brute force your way through most of the game even while collecting all the water sprites in each level. @VR32X I believe I read somewhere that he no longer owns the rights to those 3D games. When he and his partner split Renegade Kid, Jools took the IP rights to all the 2D sprite-based games and the other guy (his name slips my mind, sorry!) took the rights to the 3D games. Xeodrifter is one of the few games I regret buying on sale a while ago. Compared to Axiom Verge or Hollow Knight it's just so dull. Even Wonderboy, despite being rather flat and archaic in design, was more fun to me than Xeodrifter due to how pretty it is. And I haven't even bought Bloodstained yet. I don't really need a filler metroidvania when there's so many good metroidvanias and my time is already limited. 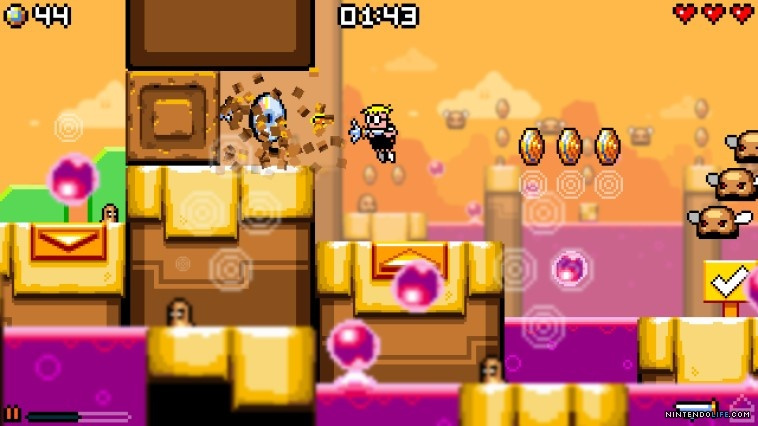 Mutant Mudds was a surprise hit with me some time ago on PC. Gameplay is tight and very old school, and it gave me that itch to complete every level to 100%, which is a thing not many games do. Art style is also very retro, but this is one of the few that I think got the "feel" right. I bought the collection on Switch some time ago already (and completed the game 100% again), and the inclusion of the puzzle game and the more challenging Mutant Mudds sequel made this a purchase I'll never regret. @rosemo I vaguely remember that now. Thats a shame. I have Xeodrifter on my 2DS and Wii U... I cannot recommend it more. Maybe I'll pick up the Mutant Mudds Collection.